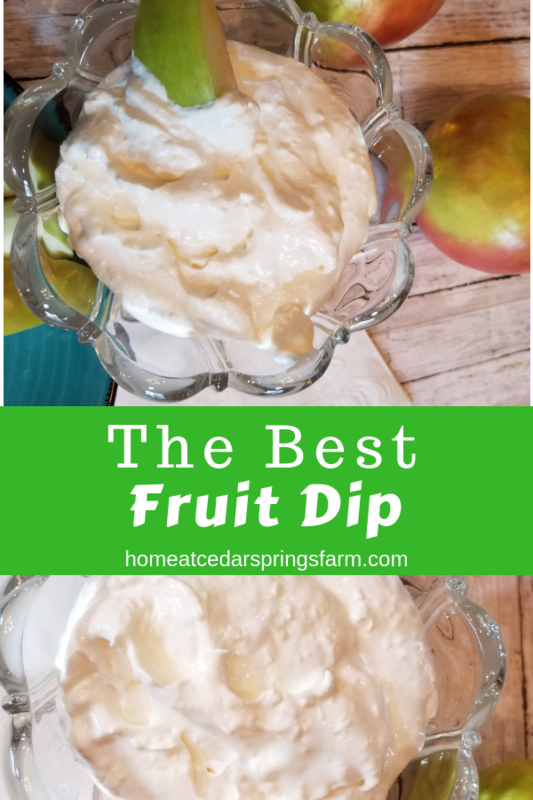 I love Fruit Dips, and especially the dips using marshmallow cream. 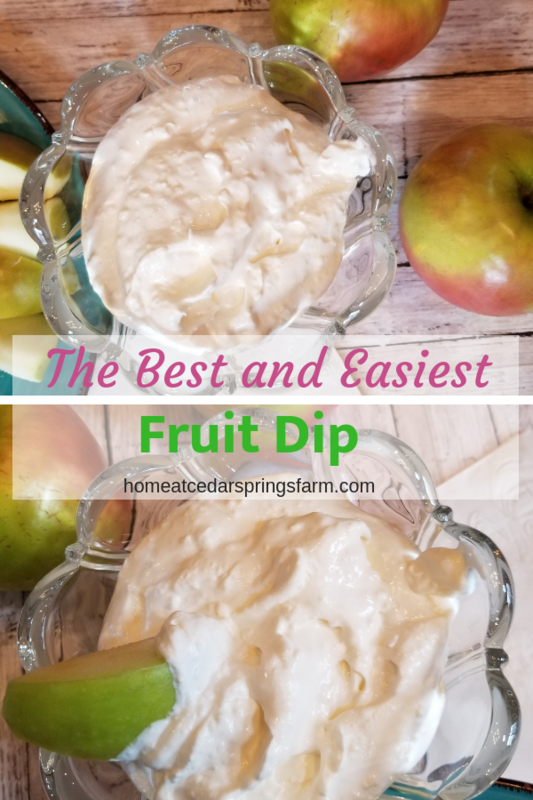 This is The Best and Easiest Fruit Dip you could ever make. It is made using only 3 ingredients– cream cheese, cool whip, and marshmallow cream. That’s it! It’s perfect for a fruit tray, to serve as an appetizer, showers, after-school snacks, or to have on hand during those hot summer months when you just want something cool to snack on. It’s great when served with apples, strawberries, pineapple, and grapes. I usually dip a few graham crackers as well. Place cream cheese in a mixing bowl and cream until smooth. Add the other ingredients and mix well until smooth and creamy. This usually takes about 3 minutes to become light and fluffy. Spoon into a serving bowl and chill until ready to serve. Serve with the fruit of your choice. 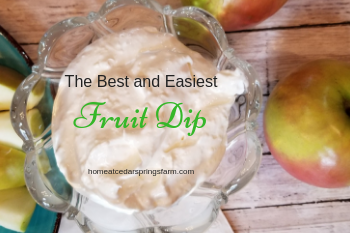 This is The Best and Easiest Fruit Dip you could ever make. It is made using only 3 ingredients cream cheese, cool whip, and marshmallow cream. That's it! Place cream cheese in a mixing bowl and cream until smooth. Add the other ingredients and mix well until smooth and creamy. This usually takes about 3 minutes to become light and fluffy. Spoon into a serving bowl and chill until ready to serve. Serve with the fruit of your choice.